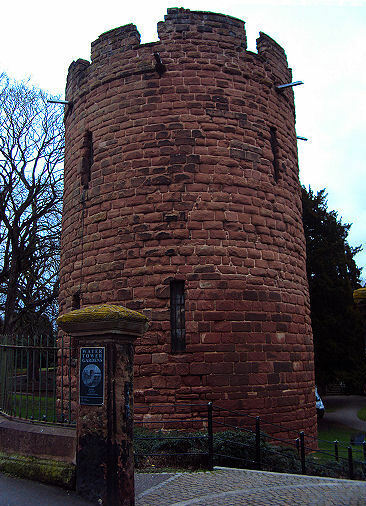 The Water Tower, once known as the New Tower, was constructed in the fourteenth century tower and is attached via a spur wall to Bonewaldesthorne's Tower on the city walls. 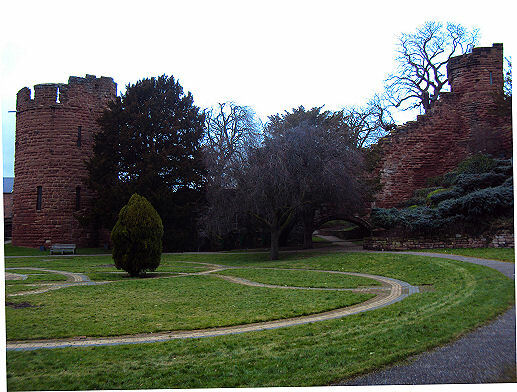 The tower, together with its spur wall, is designated by English Heritage as a Grade I listed building. It is situated at the junction of Water Tower Street and City Walls Road, to the North West of the city. 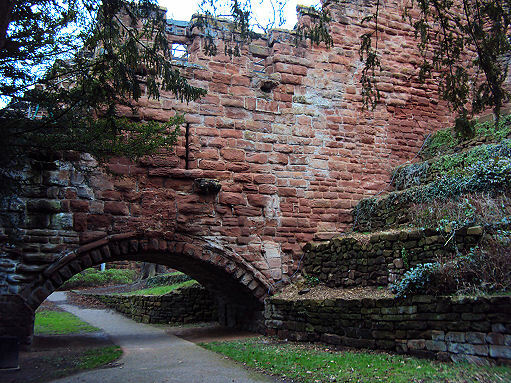 The red sandstone tower was constructed between 1322 and 1325 and at that time stood on the banks of the River Dee. The architect was John de Helpston who was also employed to design castles for King Edward II in North Wales. Its prime purpose was to defend the port of Chester, but was also used to monitor the movements of shipping and to ensure that the custom dues were paid. The tower is about 75 feet (23 m) high, and the wall is 97 feet (30 m) long, just over 11 feet (3 m) wide and about 24 feet (7 m) high. An archway in the city walls leads to 44 stone steps on the way down to the tower. The tower is circular at its base with a square turret above, in two stages containing octagonal chambers, one above the other. A pointed archway leads from the wall into the lower chamber. 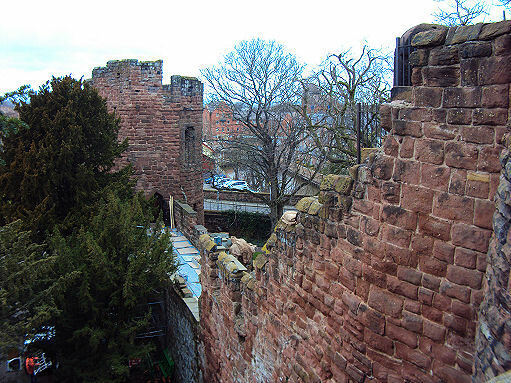 The spur wall that connects the Water Tower to Bonewaldethorne's tower is thicker than the rest of the city walls, and has an archway, in which a portcullis was probably once situated. The River Dee had silted up by the end of the sixteenth century and the tower became landlocked. In 1639 it was renovated at the city's expense. During the Civil War the tower was attacked and damaged. By 1728 it was described as "useless and neglected". The Chester Mechanics' Institution, founded in 1835, wanted to open a museum to show its artifacts and leased the Water Tower and Bonewaldesthorne's Tower from Chester City Council. The towers were closed to the public in 1916. The tower is now only open to the public on certain days of the year.